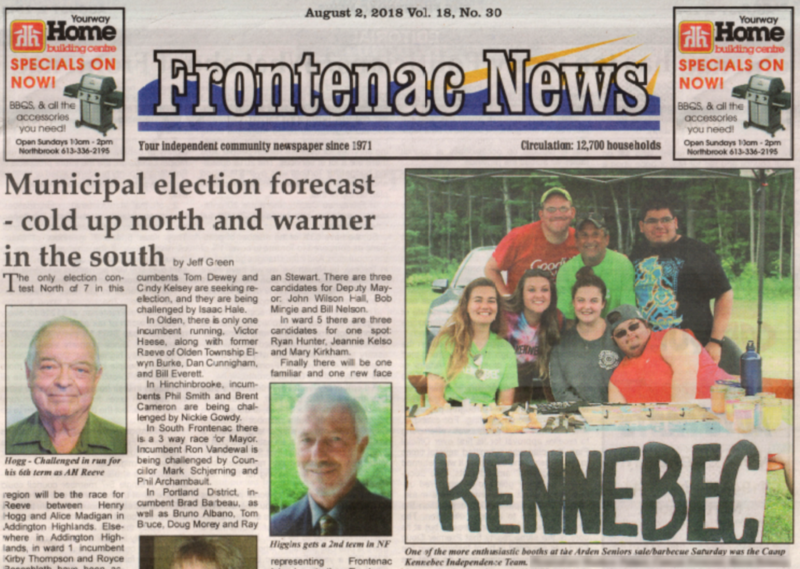 We developed the KIT program to help campers who were approaching adulthood or who were already young adults, become more independent and learn necessary life and job skills, while enjoying a great Kennebec summer. The 14 members of the K.I.T. team and their counsellors are the envy of campers and staff alike, as they live in a newly renovated hilltop “Chalet” with its own kitchen, two washrooms with showers, four bedrooms, flat screen TV, deck and living room area. The Chalet looks, feels and operates like a home, so that the KIT participants learn how to share household responsibilities like cooking their own breakfasts and keeping the Chalet clean. 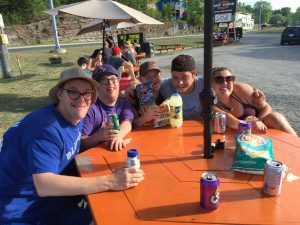 To strike the right balance between fun and learning, we use two of the five activity periods each day to focus on practical, independent living and job skills training– but we add our special Kennebec style to make sure those sessions are fun. The three remaining periods are activity choices, so K.I.T. participants can water ski, horseback ride and participate in all the Kennebec activities and special events they’ve come to love. Some evenings, K.I.T. members participate in camp-wide programs like movies, dances and talent shows. On other nights, they build an evening program that they choose, with staff help. KIT participants earn Kennebec dollars for their hard work that they exchange for snacks, Kennebec clothing and special excursions. By far the most popular use of Kennebec dollars so far has been to purchase a KIT-only, out of camp trip for ice cream and other treats. For participants to get the most out of K.I.T. life and job skills training, they should be enrolled for the full eight weeks – although if there is room, we will consider offering four, five, six and seven week sessions as well. As the Kennebec Independence Team program is always evolving, please share your comments or suggestions about this program with us.